Every year Google releases a lot of updates and the SEO sphere is changing very fast. 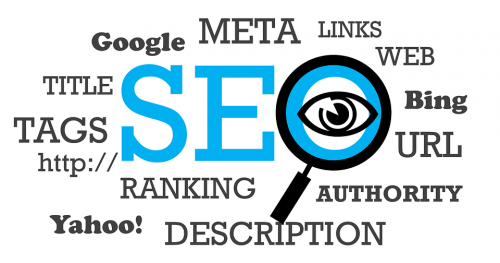 Therefore, we have collected 7 actual myths about SEO. Myth 1. The Number of links is more important, then the quality of content. The number of links is one of the most important factors of ranking, but now the quality and the variety of links are playing a more substantial role than their amount. It will be better to invest money in the content of high quality than to purchase links, because you can place your content on many different platforms and it will bring you a lot of relevant links. Do you notice the difference between the URLs? Somewhere they start with http:// or https://. This extra "s" is used on the websites, which collect and keep confidential information. Also, this difference means that this website is safe and no one can intercept your personal data. In October 2017 Google released the 62nd version of their web browser Chrome, which indicates that the page is not safe if it contains some forms but doesn't support SSL. According to the HubSpot Research, about 85 % users will not use the website if it is unsafe. How often do you see advertising like "Get on your website to the first page of Google"? Ranking is not your final goal as before. Now your site must to be useful for users, because if your content is helpful, users will necessarily share it. Meta description has impact on clicks and this is very important. Great meta description can rise up your website, because search engines consider clicks as a ranking factor. Google fines site owners for popup-windows, which interfere with viewing information from smartphones. For example, Google will find you if you have annoying advertising, which users have to close up to continue reading, but it's ok if your advertising occupies a reasonable amount of space on a page. The number of pages does not matter if there is no useful content. A lot of indexed pages with needless content won't get you good traffic. The main task of every search engine is to ensure that users can find the information they need. Therefore, good user experience is very important. If, for example, Google offers you a website, the information on this site must be 100% useful to make you use Google again. Use these pieces of advice and you will be able to take away a lot of clicks from your competitors.